In the aftermath of the release of final German growth data the Euro solidified its advance against a largely static ‘Loonie’. Canadian Dollar movement has been restrained by a lack of significant domestic data so far this week, although the commodity-driven currency did come under pressure following the comments of one renowned economist. Other industry experts have intimated that the weak ‘Loonie’ will prevent millions of Canadians from splashing their cash in the US – a factor which could help boost domestic demand. The Canadian Dollar edged lower against several of its major rivals in response to ‘Dr Doom’s comments. The EUR/CAD exchange rate was also able to advance as reports confirmed quarterly economic growth of 0.4 per cent in Germany in the fourth quarter. A stronger-than-anticipated surge in exports helped the Eurozone’s largest economy post annual, non-seasonally adjusted growth of 1.3 per cent in the fourth quarter of 2013. 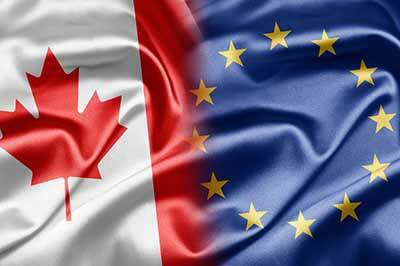 We forecast that the EUR/CAD exchange rate will continue trading higher until Friday. As yesterday’s German business confidence index showed a surprisingly strong increase, it appears likely that tomorrow’s German consumer confidence survey will also surprise to the upside. If it does the Euro could advance further. Thursday’s German employment figures and Eurozone consumer confidence data will also have an impact on the Euro. Meanwhile, Friday’s Canadian growth figures are expected to show that GDP declined by 0.3 per cent in December, month-on-month, following expansion of 0.2 per cent in November. The report is also forecast to outline annualised quarterly growth of 2.6 per cent and year-on-year expansion of 2.5 per cent in December. Any indications that the Canadian economy is struggling could add to the case for the Bank of Canada holding interest rates at record lows for the foreseeable future, piling pressure on the ‘Loonie’ in the process.